Last night I stayed up just a little bit later than normal, and captured these images. Any guesses as to what I'm showing here? Just a little Sunday evening fun. Enjoy the week. 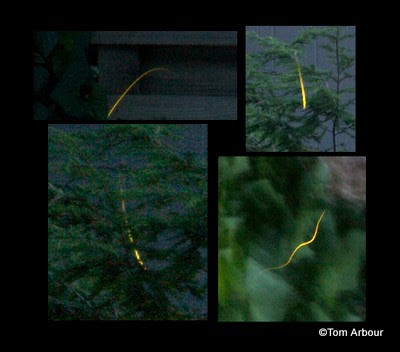 My first guess would be lightning bugs, but they usually twinkle early in the evening. Do a few keep late hours on Saturday night? Tom: I would have gussed Lightning Bugs also but I didn't think they lit that log.